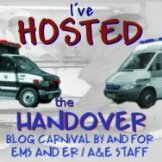 Medic999 – Fire/EMS Blog of the Year 2009! Do Puppy Dog Eyes Really Work? Decisions, Decisions – The conclusion. My nomination for Fire/EMS Blog of the Year. The next decision to be made……! Decisions, Decisions….What would you do?